So you want to take your passion in the next level with a hope of having a career here or abroad. You might be thinking also of building your own dream restaurant. One way of getting started is to enter in a culinary school. There are lots of schools out there! Which should you consider? Not a problem. 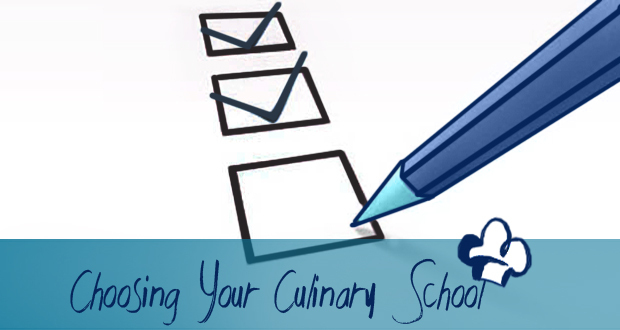 In this article, we will help an aspirant chef/restaupreneur like you through a checklist of things you must consider in finding the perfect culinary school. Just so you know, once you decide to study in a culinary school, it doesn’t mean you’re taking up “Culinary” per se. 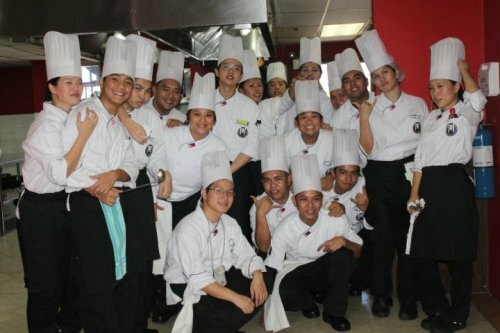 Just like a common course, Culinary also has variety of programs and periods. First shot is by researching different types of culinary courses offered which would be the best fit for you. Commonly, these differ on how long you want to be in school and what skills you want to obtain. These can be Diploma Courses, Intermediate Courses or Short Courses. In addition, you may check for flexibility in class schedules as well as for externship opportunities. See to it that a school’s program teaches you management and business skills along with proper culinary methods because to be a Chef requires more than just being the best cook in the kitchen. Experience is still the best teacher and it is still important to learn the basics of managing a successful culinary business or restaurant from persons who already did it. Try to attend open houses of schools you are interested in and look closely at the facilities and learning environment. 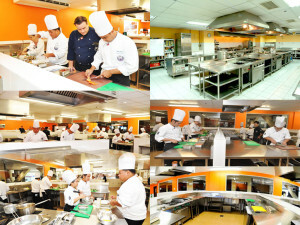 Does the school have hot kitchen for hands-on sessions equipped with complete set of institutional kitchen equipment and utensils used in the hospitality industry to simulate actual kitchen operation in a hotel or restaurant? To succeed in the industry you should be training with the same tools professional kitchens use. Are the students close when the Chef Instructor is doing their demos? Notice the Instructor/student ratio. A class with 10-15 students is good. On the other hand, One-on-one style when learning hands-on techniques is recommended. Also try to speak with current students so you can hear how good (or bad) the quality of education they are acquiring in that particular school. Nothing beats first-hand experience! Just like every academic institution, one proof of high-quality culinary school is their roster of successful products— the alumni. Do your homework and do your research. 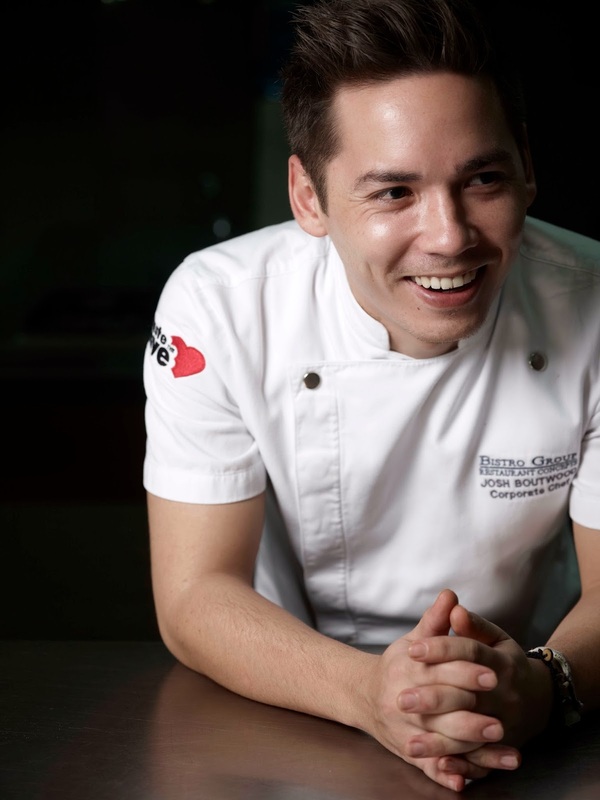 Try to find well known chefs in their fields and find out which school did they attend before their careers blossomed. Start to Google that name of the cute chef executive from your favorite morning show! Also, make sure to research where the graduates from the school end up after graduation. Find the percentage of students who got hired in the culinary field immediately after graduation. Where are the graduates going to work? Here or abroad? Were graduates able to open their own businesses or after graduating? Are they certified by international culinary organizations? How many years of experience in the culinary industry do they have? Where did they receive their culinary training? Have they won various culinary competitions here and abroad? 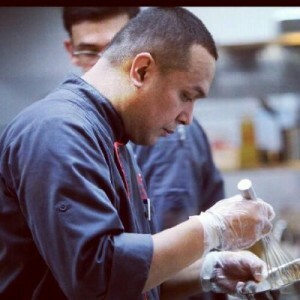 Do they have experience as an Executive Chef for fine dining restaurants and hotels? Have they run types of restaurants and hotels that you want to work at after studying? You can speak with Chef Instructors in your visit at the school and ask them any questions you have about their teaching styles. This is simple. If the school is competent and do really produce quality graduates taught by seasoned chefs, well then, they must also won numerous awards in the past years. You, too, can be a champion in your career if you train with the champions! 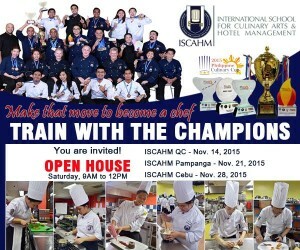 Visit www.iscahm.com for more details.